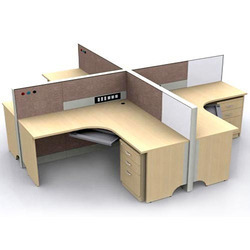 We offer 'Office Work Station' Model : WS3 from In space India. Wea are a leading Manufacturer & Supplier of a Complete Range Of Office Furniture, like: Office Sofa, Office Work Station, Office Chair, Office Table, Boss Chair, Executive Chair, Steel Chair, Leather Sofa, Leather Chair, Resturant Furniture, Cafeteria Chair, Cafeteria table, Resturant Table, Resturant Chairs & Tables etc. with Our Own Brand Name "Divine Seating System". We are offering an excellent quality range of Modular Office Workstation which are available in various sizes and can also be customized in accordance with the clients. It is designed and crafted by our experienced professionals with the help of latest tools and machines as per the latest market trends. Linear workstation with glass divider, ideally suited for call centres, KPO. Novo Tree Minds Consulting Pvt. Ltd.
Modular Workstations which can be Dismantled in a very short time, Customized workstations can be manufactured as per client’s requirement. 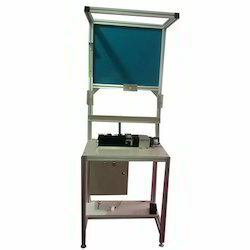 Workstation :- Work station like wooden work station& portabale aluminium, iron work station.